Bob Kucheran is an associate lawyer at Pacific Medical Law. Prior to obtaining his law degree from UBC, Bob worked in executive positions in the not-for-profit sector, most notably as the CEO of the British Columbia Pharmacy Association. Bob was called to the bar in 2010. In addition to his legal training, Bob has many years of experience as an advocate for the public interest in a number of areas. He is a member of the Council of the College of Veterinarians of British Columbia and has served on the Board of the Coast Mental Health Society and the Coast Mental Health Foundation. 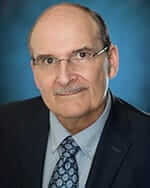 In addition, Bob has served with the Government of British Columbia Health Human Resources Advisory Committee, the British Columbia Chamber of Commerce, Health and Education Committee, the Canadian and American Society of Association Executives, the Provincial Mental Health Advisory Council, the Canadian Pharmacy Coalition on National Pharmacare, as well as the Burnaby Hospital, Ethical Resources Committee.